Suggest trusted resources, such as teen websites created by Anaphylaxis Canada or the Food Allergy Research & Education (FARE). 5. Maloney, J.M., Chapman, M.D., and Sicherer, S.H. “Peanut allergen exposure through saliva: Assessment and interventions to reduce exposure.” The Journal of Allergy and Clinical Immunology 118.3 (2006): 719-724. 28. Sampson, M.A., Munoz-Furlong, A. and Sicherer, S.H. “Risk-taking and coping strategies of adolescents and young adults with food allergy.” Journal of Allergy and Clinical Immunology 117.6 (2006): 1440-5. 29. Monks, H. et al. “How do teenagers manage their food allergies?” Clinical and Experimental Allergy 40.10 (2010): 1533-1540. 30. Chapman, J.A. et al. 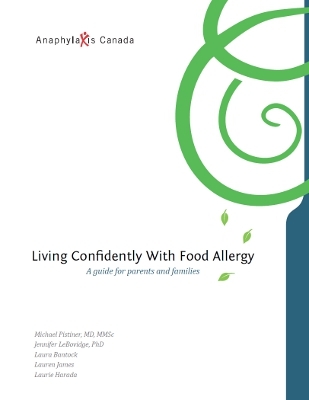 “Food allergy: a practice parameter.” Annals of Allergy, Asthma & Immunology 96.3 (2006): S1-S68.